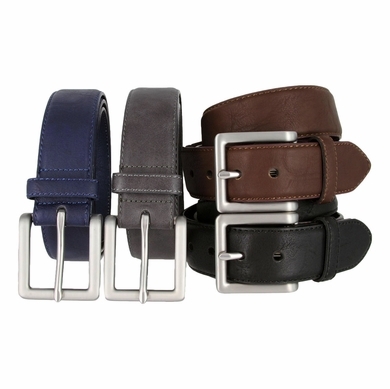 A genuine leather belt with classic, stylish edge stitching and a rustic leather grain embossing pattern. Features a brushed nickel buckle. 1-1/2" wide.